If there is one type of municipal solid waste that has become nuisance in India and most developing countries, and largely seen along the shores and waterways of many developed countries, it is plastic waste. Much of it is not recycled, and ends up in landfills or as litter on land, in waterways and the ocean. As much as 40 percent of the country’s municipal waste remains uncollected, according to the Organisation for Economic Co-operation and Development. Of the waste that is collected, almost none is recycled. Most of it sits in open dumps such as the one in Madurai, leaching into the soil and contaminating groundwater. Some of it is burned, releasing dioxins and other toxic chemicals into the air. R Vasudevan, known as the Plastic Man, decided to change this by adding value to his plastic waste. Vasudevan sees an opportunity. 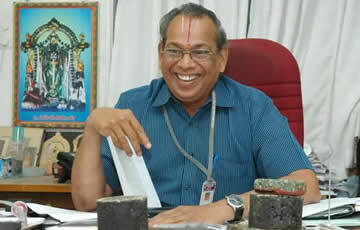 A professor of chemistry at Thiagarajar College of Engineering, near Madurai, he insists that plastic gets a bad rap. Rather than an incipient environmental calamity, plastic, in Vasudevan’s opinion, is a “gift from the gods”; it’s up to humans to use it wisely. And he’s devised a way to transform common plastic litter—not only thicker acrylics and bottles but also grocery bags and wrappers—into a partial substitute for bitumen in asphalt. Plastic was good ideas for bags in the country, but not for the environment and for the health of some of the harmful use of plastic. He presented the idea to use waste plastic. An incredible solution to deal with mounds of plastic waste was invented by an Indian scientist about a year ago. His innovative method to reuse plastic waste to construct better, more durable and very cost-effective roads that helps to improve the road infrastructure in the country. The roads will also show greater resistance to damages caused by water during rains. India didn’t take him seriously, but a foreign nation is now at the verge of being first to install ‘plastic roads’. 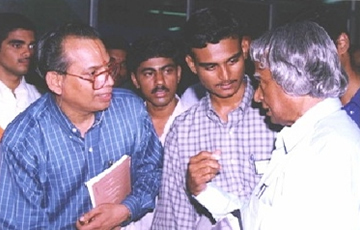 The Netherlands engineers are testing the same technology patented by India’s Vasudevan. 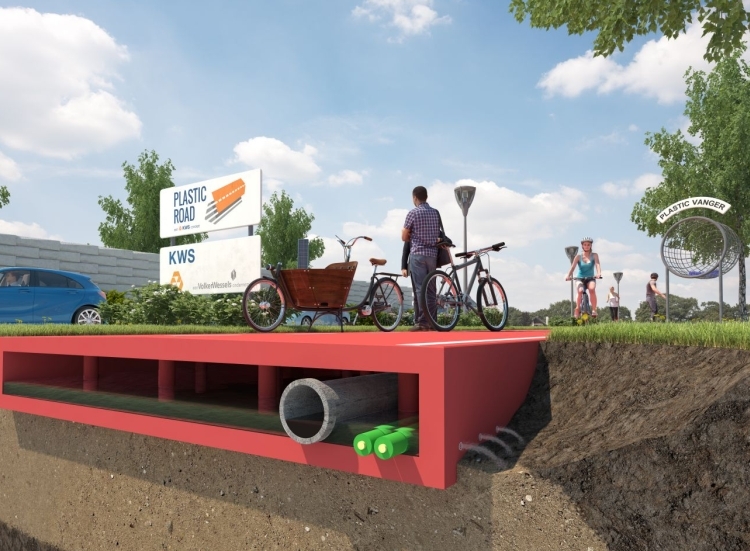 A Dutch company VolkerWessels will collect plastic waste from the ocean and recycle it to build roads. The plastic is molded using blue metal and shaped into pre-fabricated bricks. The roads can be installed and removed quickly. 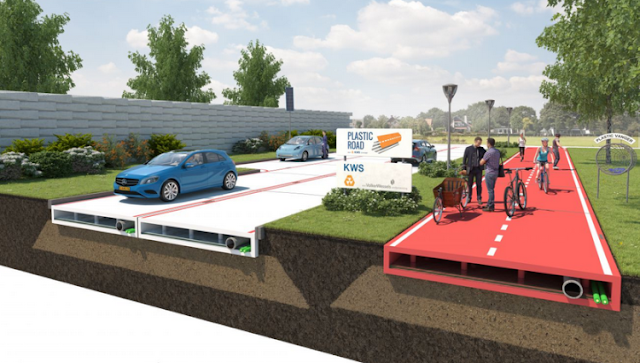 He has devised a way to convert the plastic litter (acrylics,bottles,grocery bags, food wrappers etc) into a partial substitute for bitumen in asphalt. The plastic waste is shredded and reused in Prof’s roads. This technique replaces 15 percent of far more expensive bitumen in the mix utilized to lay roads and hence reduces the overall cost. And the best part is, it needs no significant technical know-how, massive investments or process changes to presently used procedures for road making. Though he holds a patent for the same, he licenses it for free for the good of the nation. That’s one more reason for municipal corporations to use it. Much of India’s garbage is made up of plastic—a scourge of the nation’s new consumer economy. As per a survey conducted by Central Pollution Control Board (CPCB) in 60 cities of the country, the quantum of plastic waste generation is estimated to be 15,342.6 tonnes per day. This poses huge environmental, social, and economic challenges. I think we should encourage to implement such innovative ideas in developing our road infrastructure in the country. At the same time, we could easily get rid of plastic waste and in-turn it saves our environment. It's a great Idea from the great Prof. Vasudevan!